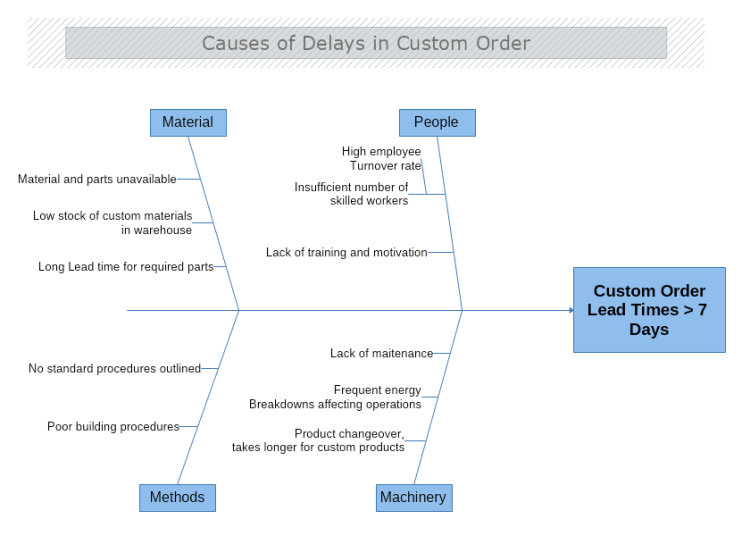 This template describes the reasons clients’ orders are delayed. The main factors within the custom order process that might be causing the inconvenience are the methods; the people working there, the materials and the machineries used for the production. Download this free template and modify it with MyDraw so it represents your customer order procedure to monitor the steps and locate the bottlenecks along the execution process.